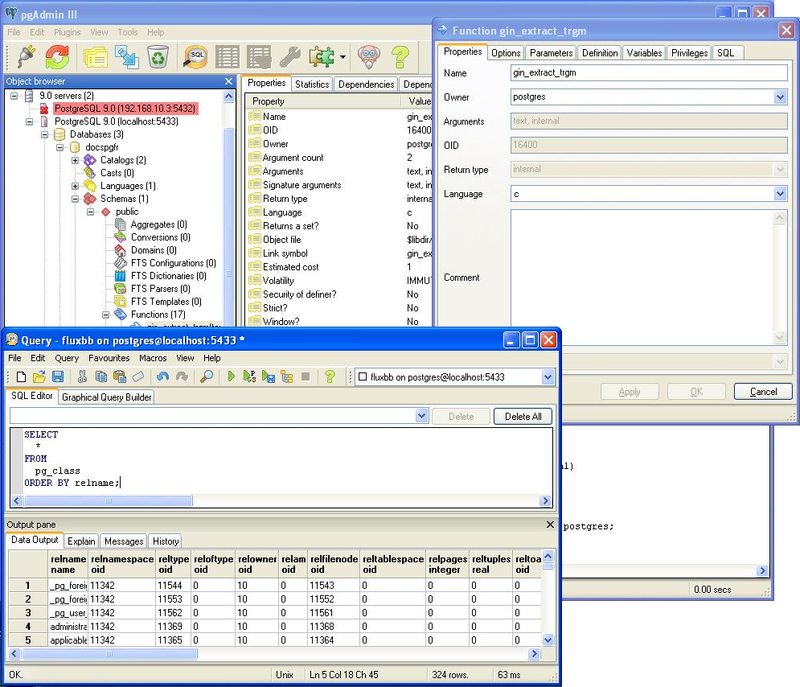 If you are looking for a GUI management tool for PostgreSQL databases, look no further. 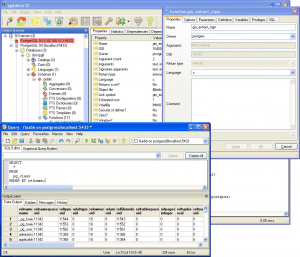 pgAdmin III is a freeware utility for *nix and Windows operating systems that allows you to design and manage your databases. Using this tool, you can create, edit, delete tables and data for your databases. It supports an enormous amount of advanced options that will all but eliminate the need to use any other GUI or command-line application. For more information and to download pgAdmin III, click here. You can check one more tool – Valentina Studio http://www.valentina-db.com/en/valentina-studio-overview 14 Feb 2013 in the 5.0 version added support of mySQL/mariaDB , as well as, SQLite, PostgreSQL. It is FREE. Works on Mac, Win and Linux. Includes not only db management but powerfull reports that work again on 3 OS.